The smart home technology industry is big – and it’s only going to get bigger. According to a new market report from MarketsandMarkets, sales of smart home tech are expected to grow by a compounded 17% per year over the next five years. That pegs the global smart home market at $58.68 billion by 2020, suggesting that the technology will be ubiquitous in just a few years’ time. 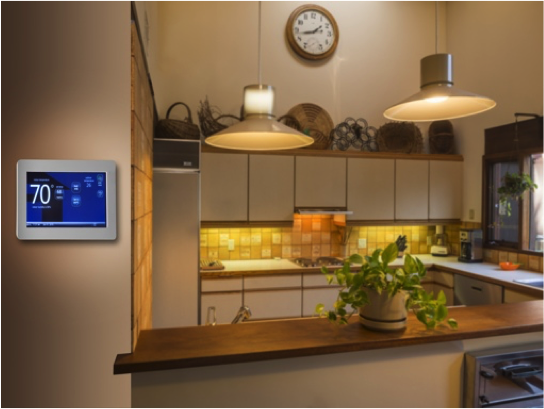 The report states that green home solutions like smart thermostats, energy monitors and smart appliances will be a key driver of sales figures – especially those products with features that connect to mobile devices. Connected home security and convenience products will also see growth, as well. Many of these products are currently fragmented across hundreds of competing companies with competing home automation protocols (e.g., Works with Nest, Quirky Wink). Marketsandmarkets expects much consolidation over the next few years, which should make buying home automation products a lot less confusing for us consumers. The report also notes that new home construction in the U.S. will be a big driver of the home automation market – an idea we reported on here at Techlicious last week. What does that mean for you, a homeowner living in 2015? If you’re thinking about selling your home in the next 5 to 10 years, you’ll want to consider making a few inexpensive smart home upgrades to better compete with other homes for sale in your area. Personally, I’d focus on money-saving devices like smart thermostats that will allow you to quickly recoup your investment in the form of energy savings. You might also want to consider relatively inexpensive conveniences like smart light switches, especially if your home is located in an upscale neighborhood. You can purchase the Marketsandmarkets smart home report by visiting the company’s website. For more information about turning your home into a smart home, check out our home automation technology roundup page right here on Techlicious.